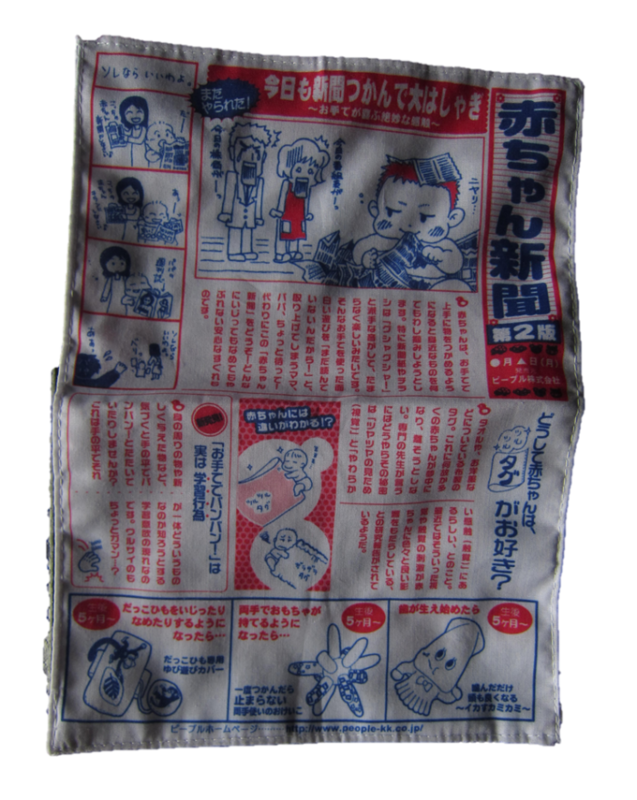 This baby toy consists of a soft, cotton surface and produces a crackling sound similar to a newspaper, only louder. Touch and sound calm the baby and besides, babies might be happy to see that they share doing something their parents do when they read the paper on a Sunday morning. One of the advices Morinosuke Kawaguchi gives is that babies should be observed closely, as their feedback is untainted and most basic. The toy industry has very advanced research on the behavior of babies and toddlers, but much of the insight is later discarded when designing products for adults – even though the essence of what appeals to a child would still appeal to adults.